Small Group Ministries (SGMs) are groups of 6-10 people who meet twice per month to reflect on and discuss meaningful topics. The groups are intentionally small to allow members to have discussions on an intentional level and to be present for one another. Each group creates a set of rules on how its members will interact and picks a set of topics for discussion. Each session is structured and facilitated by a leader, and all members have the opportunity to share their individual perspectives. SGMs are an excellent opportunity to get to know ourselves and one another much more deeply, while growing more spiritually and introspectively. As we close out this month’s theme of vision, come hear the MPUUC youth speak to their vision about our community, their future and where ever the word vision takes them. Leading the service will be the youth group and assisting will be Rev. Jo Green. Peak Rocks will provide our music. **This Sunday we will be collecting the donations we’ve all been collecting for Guest at Your Table. Please bring your cash or checks made out to UUSC with the memo line of Guest at Your Table or GAYT. The 2018-2019 theme is Justice Across Borders and these funds will help greatly in aiding our Migrant Justice partners. MPUUC will send in all the collections for you. This church year t his program is an opportunity to celebrate grassroots partnership, support human rights, and learn about just four of these individuals – the “guests” in Guest at Your Table. 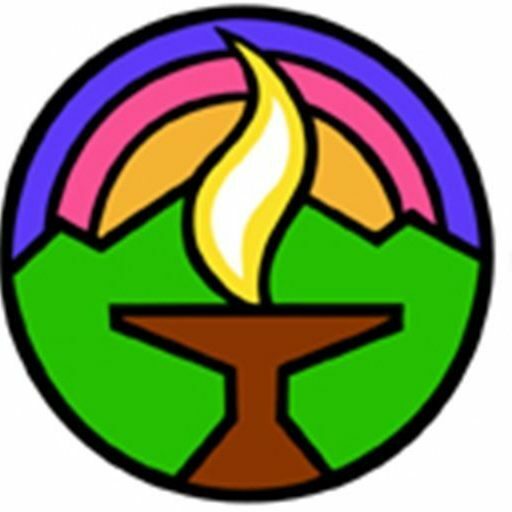 Please see their website at https://www.uusc.org/resources/congregations/guest-at-your-table/ for more information. You can also sign up using our sign up poster at the back of Cole Hall this Sunday. During our service on Sunday, February 10, 2019, Mission Peak Unitarian Universalist Congregation honor two local teachers, Michelle Wallace and Carl Bullard, with Courageous Love Awards. The award is given in conjunction with the national Side with Love campaign, which promotes equality for marginalized communities. The goal of the campaign is to harness love’s power to challenge exclusion, oppression and violence based on identity. Several local heroes were nominated and members of the congregation met following the service on Jan. 6 and chose to honor both teachers. The annual Courageous Love Award is given to a member of the Tri Cities community who has faced oppression, discrimination, and prejudice with grace and inspired determination; or who has inspired a local movement for love. We see these awards as a chance to uplift others; strengthen and support our community partnerships; and to join together with joy and with purpose those who have shared values. Both of this year’s awardees have been supportive of LGBTQQ+ students at Fremont schools. Michelle Wallace, Mission Peak UU member and former teacher at Thornton Junior High, founded the Gay Straight Alliance – now Genders and Sexualities Alliance (GSA) there after hearing homophobic remarks being made in her presence. Carl Bullard, is advisor for the GSA at Washington High School has provided guidance to LGBTQQ+ students for years. In addition to making this award, the congregation will donate the proceeds of its Sunday offering on February 10th to the GSA clubs at the two schools. The Mission Peak U-U Congregation’s Board will meet Wednesday, February 6, 5:30 p.m. at Allysson’s in Milpitas. This will be a special meeting concentrating on procedure for choosing a Settled Minister Selection Committee and on our longer range vision for the Congregation. For more information contact President Paul K Davis at president@mpuuc.org . The Adult Education Committee is seeking proposals for classes for the Spring quarter-April through June of 2019. This is an opportunity for you to share what you know with others. Past topics have included Buddhist meditation, healthy eating, art and spirituality, the Enneagram, Poems, and celebration of the sacred feminine. Classes can vary from one-time events to meeting every week. How can you submit a proposal? Contact Ilze Duarte at (408) 627-2558 (texts preferred) or email her at ilzeduarte@earthlink.net with your course information. Please submit your proposal no later than February 10th. Thank you! Bystander Intervention Training – January 24 from 6:00-8:00 p.m.
Be part of the solution in your community! Learn how to prevent, intervene, de-escalate harmful encounters, and become equipped to train others on bystander intervention. Please see attached flier for information on a Bystander Intervention Training on January 24. News coverage of a well-known celebrity dying without a will points out the resulting difficulties. A family’s crisis over critical medical decisions dominates a news cycle. This news may inspire action, but we find both contemplating our own death and initiating a family discussion difficult. Who do we want to act for us if we become incapacitated? Could our financial affairs be resolved with ease? What are our wishes for our final days? Do we need to reevaluate our established plans and documents? The Ministry of Social Concerns (MSC) Team from Niles Discovery Church believes that talking about these and other questions will move us toward new understandings and a sense of peace; therefore, they are sponsoring a series of conversations to spark thought and action on end of life planning. For more information, contact our Office Administrator Sandra Lange and she will put you in touch with the correct person at Niles Discovery Church. Invite interested friends and family to attend, too. The biennial county-wide homeless count will take place on Wednesday, January 30, 2019 from 6 am to 10 am. Once again, the City will lead the coordination effort in the South County and is looking for volunteers to participate in this important event. Volunteers will work alongside formerly or currently homeless guides to count the number of homeless individuals in the South County. Please click here for more information and to volunteer.